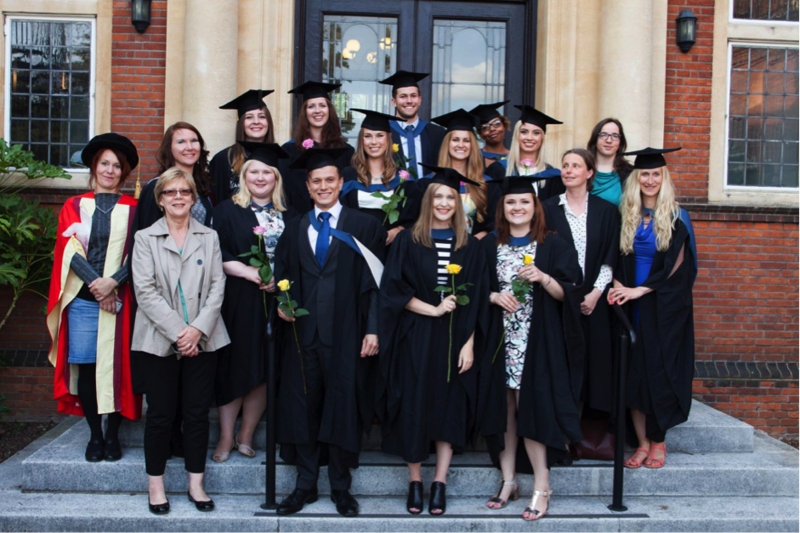 Languages at Reading scores top marks for student satisfaction! 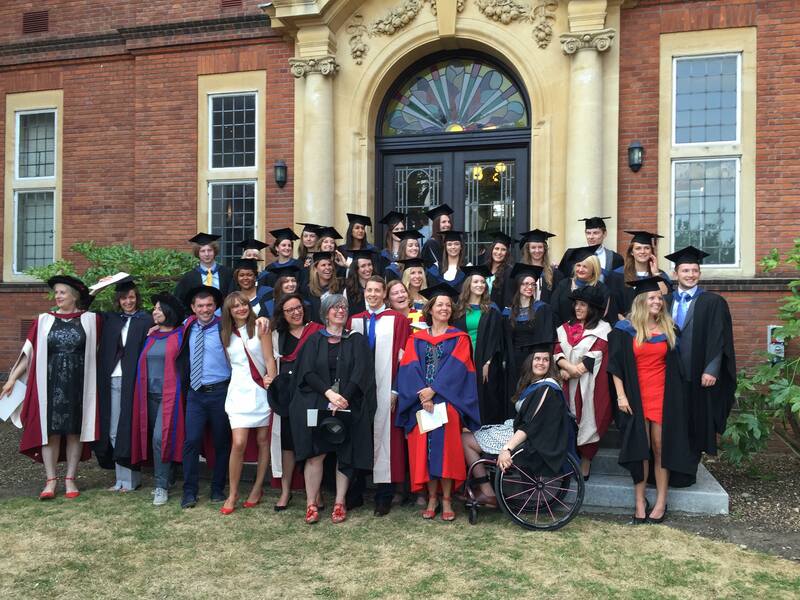 It’s official: students love studying modern languages at the University of Reading! The latest results of the National Student Survey (NSS) have just been published, and in 2015 University of Reading students expressed a fantastic 100% overall satisfaction with their course in German and Italian, and 90% overall satisfaction for French. 2015 Finalists and Staff in German. Can you tell they’re 100% satisfied? These outstanding results, a reflection of our commitment to innovative teaching and learning, put us well above the national average. 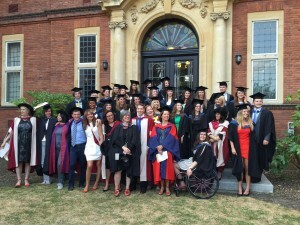 Across the board, teaching in Reading’s Department of Modern Languages and European Studies was rated over 90% (91% for French, 94% for Italian, and 97% for German). German also achieved 98% satisfaction for academic support, while Italian ranked among the highest scoring programmes in Learning Resources and Personal Development. Each year, the NSS survey asks final year students at universities across Britain what they think about their course and university experience. Our students say that they love studying at Reading. The feeling is mutual: The 2015 finalists were a lovely group of talented students, and we are definitely going to miss them! If you would like to join us at Reading and see why our students are so happy with their courses, there may still be a few spaces available in Clearing – find out more here. Mobility. Next year, one of the lectures of the module ML3LP “Language and power” will be devoted to the concept of mobility and its related semantic field. More generally, we’ll look at the verbs of movement in order to further investigate the use of these verbs (and concepts) in public discourse, to see who is moving from where (to where), how and why, when we read a newspaper article, watch a talk show, listen to a politician’s speech. It is going to be relatively easy to introduce this topic. If you think about it, my students will be back from their Erasmus exchange, and will be able to say plenty of things about their own mobility across Europe. I will be back from a trip to East Asia, where borders for an Italian citizen are relatively easy to cross. Everybody will have something to say about her or his own mobility in the last few months: and how cool has it been what we have experienced during the summer. Recent polls show that immigration is the main concern of Europeans, more than the economy or unemployment. On the other hand, by analysing public discourse, we might be surprised to see how the same kind of verbs (travelling, flying, driving, wandering, etc.) we use to refer to our experience could not be applicable (or not in the same way) to many other people over the same period of time, i.e. during the same bright summer. We might be surprised to find out how the same verbs have been either implied or – I assume – avoided or omitted when talking about the thousands of people who tried to cross the Mediterranean Sea, the borders of Eastern Greece, the walls of the Spanish enclaves in Morocco, and the Channel. We might be surprised to see how the same words can have different usage, connotations, and occurrences if referring to middle-class European citizens or to Syrian kids, Somali women, Nigerian adolescents. We might be surprised to see how a word like jungle may mean the exotic, fascinating space I have crossed in Cambodia to reach Angor Wat in August, or else to the campsite near Calais (called “the Jungle”) where thousands of people are amassed, waiting for a chance to leave France and to look for a better life in the UK. If we do some corpus-driven research by using specific software or close discourse analysis of a few texts, for instance by looking at agency, we will find a lot of useful information: I am sure we will. Then, if we had more time, we could also look at some other lexical items to get a further idea about frequency, collocations, and connotations. Items such as swarm, for example: to see if this word has occurred more when referring to insects and animals – as the Oxford English Dictionary says – or to human beings, as David Cameron has argued when he talked of a “swarm of people” trying to reach Britain through the Channel. Or words such as disruption. We have heard this word so many times, while traveling: when an underground train is delayed, when a train is cancelled, when a road is closed in our neighbourhood for maintenance works. But would we use it when talking about an unprecedented human crisis, as Harriet Harman, the interim Labour leader, has just done in a letter addressed to PM David Cameron, asking for compensation to British holidaymakers and British companies because of the disruption caused by the “migrant crisis”? “Your discussions with the French government – Harman wrote to PM Cameron – should… include a request for compensation backed up by any diplomatic pressure that may become necessary. Compensation should cover all losses.” And, by the way, what about “losses”? Has this word had a higher frequency when talking about the lives of non-European people lost trying to cross the Channel, or when referring to economic losses of British tourists? I would maybe stop at this point, in that lecture of ML3LP. 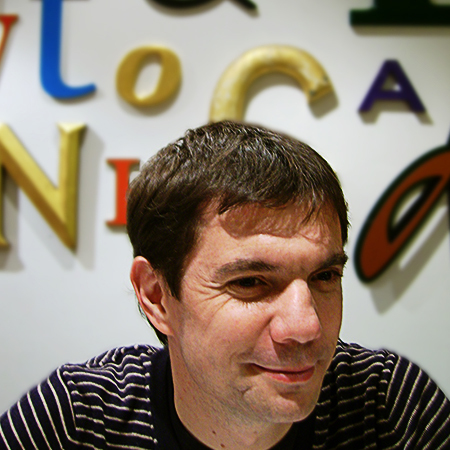 But – who knows – and I would maybe ask my colleagues teaching Italian, French, German and Spanish to test their students’ pronunciation – in their language classes – on some unusual words like Lampedùsa, Calais, Ceuta and Melilla or Freital: the village close to Dresden where several asylum seekers have become prisoners in the hotel in which they have been housed, while locals outside shout abuse and threaten to burn the building down. At least, other students will have the chance to ask themselves if they know more about what is going on in our fortress Europe: about who is (not) moving where and why. Of course, it will then be up to them to decide which side they are on, to recall Florence Reeve’s song made famous by Pete Seeger. When I was a 19-year old student – more or less their age – together with a group of friends, I founded in my hometown of Cuneo an anti-racist association, hoping to reflect (and to make other people reflect) on human rights, discrimination, migration, and mobility. Some of my students are already volunteering for NGOs, some others will be travelling around the world and see with their own eyes how lucky they are to own a British passport and to move freely. Some others may simply say “this is none of my business.” My job is not to persuade them to take a particular political position, or to be committed to some humanitarian cause. I would consider myself lucky if I could inform them not only about the beauty of my discipline, linguistics, but also about the dramatic issues out there, and could give them some tools to face complexity and to multiply their points of view. Maybe they will not be able to grant, or will not be interested in granting, other people’s right to mobility. But they should be made aware of what the polysemy of moving may imply to different people, in 2015, in Europe. 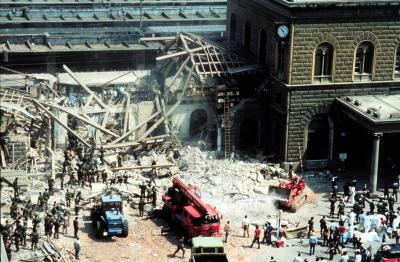 Lo strage di Bologna (The Bologna Massacre), 2 August 1980. PS: Today is the 2nd of August. 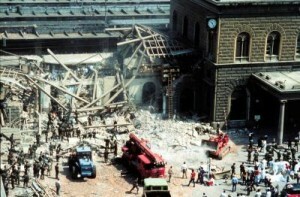 35 years ago a bomb went off at the train station in Bologna, killing 86 people. The massacre was attributed to a neo-fascist organisation, but we still do not know who was behind the explosion, and why. 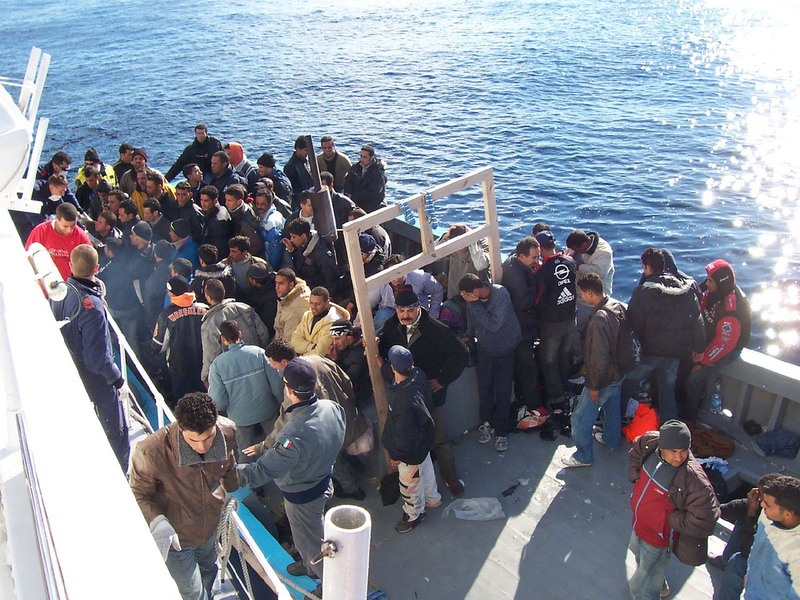 We still do not know why those 86 people – who were going back home for their summer holidays – were prevented from “moving” to join their families. I will make sure to mention this to my students who have been – and will go – to Bologna for their Erasmus exchange, when we talk about people’s freedom of movement, about people’s right to live their own lives.